The time between now and the turning of the year is the season of visits. In a good year, every weekend is carefully divided between shopping expeditions and social obligations. Either someone has asked you over, or you have asked them. There are many opportunities to catch up with seldom seen family and old friends, but there are also new people to meet. This post is a musical version of this activity. Sometimes, you get invited to a friend’s house, and there is someone you haven’t seen in years, someone you lost track of and thought you would never see again. I met the three musicians in the original line up of One Alternative in 1987, at a small folk coffeehouse in New Brunswick NJ. I don’t even know if I introduced myself, but I doubt they would remember me in any case. Jill Haley plays oboe and English horn, and Mark Oppenlander and David Bozenhard play acoustic guitars. The music they made had elements of folk, classical, and jazz. A year later, they were recording with additional musicians on electric bass and drums. The sound was heavier, sometimes too heavy, I thought. Still, I always wondered what became of them. 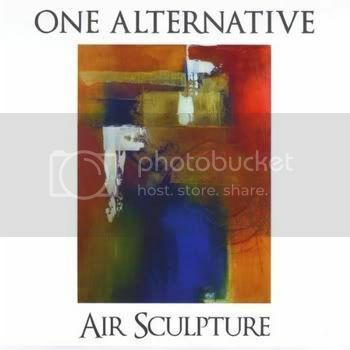 I use a couple of services that connect musicians and bloggers, and I was pleasantly surprised recently when I was contacted through one of these services about the new One Alternative album, Air Sculpture. A drummer and bass player are now part of the regular line up, but the sound is better integrated. There is more of a jazz influence than there used to be, with improvisations in the midsections of songs that can be pretty wild. To give you an idea of where they are coming from, the two covers on this album are of songs by Weather Report and Frank Zappa. But Consider the Source is the song I have chosen, because it takes me back to the sound I first heard from them and liked so much. The song is entirely acoustic, and the rhythm section drops out of this one. The original trio casts a beautiful spell here. The interplay between these three musicians is a wonderful thing to hear. By the way, Air Sculpture is a generous package, with a full length CD of music, and a second disc with videos of a couple of live performances and a history of the group. I have never been invited to an internet party, but there should be such things, and this would be the right time of year for it. At an internet party, you meet people you have only known up to now online. In person, the friendship could deepen as you learn more about each other. 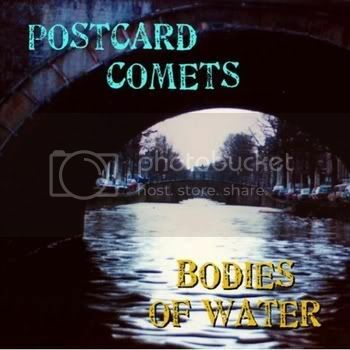 I met David Partridge of Postcard Comets on a forum on MySpace. Earlier this year, I featured a song from their latest album, Super Normaal. They have settled into an acoustic-based sound that works very well for them. Bodies of Water is their first album, and here they hit a 70s rock vibe that I wouldn’t have expected to work, but it does. Drown has a great groove that gives the song its power. The song I chose from Super Normaal has a similar groove, but it works in a completely different way. At one of these holiday gatherings, you may meet someone who you have only known as part of a couple, but who shows you another side of himself now that he is single. The Bodeans were originally a four piece roots-rock band, but they withered to a duo. Kurt Neumann and Sam Llanas were writing all of the songs together. Both Neumann and Lllanas play guitar, but Neumann also adds a host of other instruments. For their albums, they would add whatever studio musicians they needed. 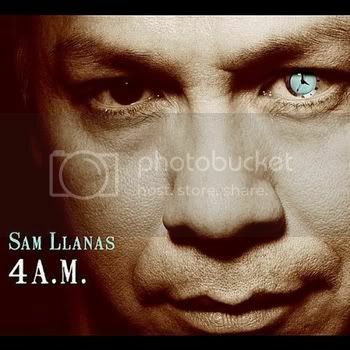 Earlier this year, Sam Llanas left the “band”, and now he has released his first solo album. For 4AM, Llanas is working in a full band again. Bukka Allen, who played keyboards on the last Bodeans album, is here playing accordion, and this gives the album a special feel. Llanas is making soulful rock here that borders on classic R&B. Fare the Well is a fine example. Lllanas’ vocals on this album are the most emotionally invested performances I have ever heard from him. Somewhere during the season, you will meet someone entirely new. As You Believed is Kathy Sparling’s debut album. On Love Song, Sparling shows herself to be a writer to keep an eye on. She is explaining to a lover why she doesn’t want to marry him. It becomes clear that she loves him, and wants them to grow old together. No, her issue is with the rituals and hassles of a wedding. Sparling alternates between tender expressions of love and humorous descriptions of the potential wedding from hell. it’s a wonderful juggling act, and Sparling pulls it off perfectly. Her performance here and throughout the album shines with sweetness and warmth. Sparling’s main instrument is the ukulele, and she surrounds herself with a collection of musicians that swells to a folk orchestra at times. But even when the band includes eight other ukuleles strumming along with her, as it does on the song The Moon is Coming With Us, the music is rendered with a light touch that serves the songs beautifully. 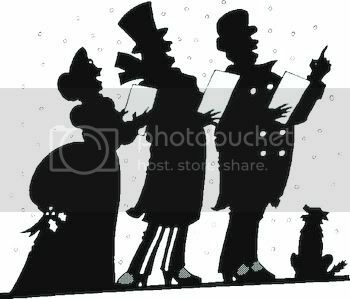 Of course, the one kind of visitor you only see at this time of year is a caroler. People you have never met show up at your door, and sing songs which are instantly familiar. Pharis & Jason Romero are not singing carols here, but their covers are old songs that evoke older, simpler times. They also perform original songs, but these have that same classic feel. Lay Down in Sorrow is a secular song that has the quality of a hymn. It is one of the originals here. The performances here are quiet but passionate. 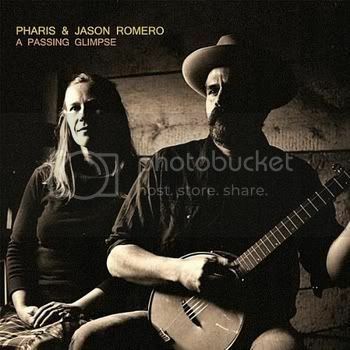 Pharis Romero plays acoustic guitar and sings, while Jason plays mostly banjo and also sings. One of the remarkable things about this album is the sound of Jason’s banjos. A banjo usually has an almost abrasive or percussive quality, ringing out, and certainly not blending with only an acoustic guitar. But Jason gets a sweet, almost mellow tone from his instrument that I have never heard before. I believe he makes his own banjos, so that may explain it in part, but surely some credit goes to his playing. The result is a group sound that can be powerful when needed, but is always unified, and always heartfelt. There are times in a musician’s career when they take a moment to reflect on the past. Joni Mitchell twice summed up phases of her career with live albums, before making her next bold leap. A greatest hits or “best of” album can be a contractual obligation at times, but sometimes it can be an artist taking stock of their work to date. And a reissue, especially if it comes with extras, can allow an artist to revisit a moment in time, and sometimes even fix mistakes. Recently, enough albums like this have come my way to make a post, and here it is. When I set out to do this post, I neglected to take into account that albums like this often have generous amounts of music on them. So, where most of the albums I deal with have just over a half hour of music, four of the albums heard here are over an hour long each; that’s why this post is so late, and I would like to thank my regular readers for your patience. Consumer warning: three or four of the artists in this post, depending on your musical taste, make musical sense together, but then things go off the rails. All of these artists are here because I really enjoy their work. I hope you will keep an open mind, and enjoy them too. 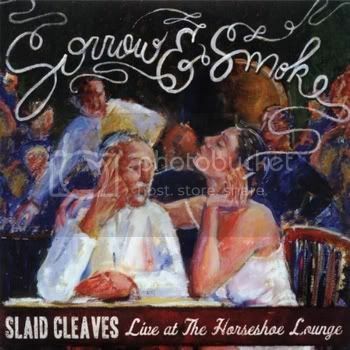 Slaid Cleaves’ album Sorrow & Smoke is not only a look back, but also a homecoming. The Horseshoe Lounge in Austin Texas is where Cleaves made his breakthrough. At a pair of shows there last year, Cleaves played many of the songs from his breakthrough album Broke Down, including the song Horseshoe Lounge. Music from three other albums is included here, as well as some choice covers of other Texas songwriters. On his studio albums, Cleaves is usually accompanied by a full band, but here he has just another guitar player and a keyboard player with him. The keyboard is usually either a piano or the accordion heard here. So the songs are presented here in an intimate setting, and Cleaves’ talents as a singer and songwriter shine through. I chose the song Broke Down as much for the fact that it was the title track of Cleaves’ breakthrough album as anything else. The quality of the music is remarkably consistent over the length of Sorrow & Smoke. 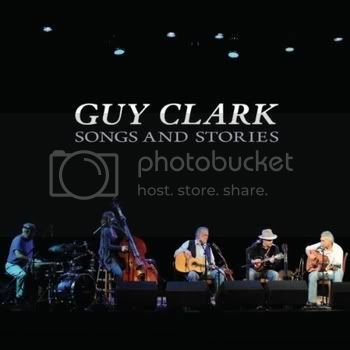 On Songs and Stories, Guy Clark looks over his career with the help of his full band. The “Stories” in the album title are mainly song introductions, but the songs are more than enough to make up for that. Some of the older songs here got a country treatment in their original studio versions, but now the arrangements are more on the folk side of things, and the songs are better for it. Guy Clark turned 70 this year, and you can hear his age in his voice. But he takes the gravelly sound he makes now, and makes use of it. The Cape is one of many songs here that sound different when sung with the voice of experience. It says a lot about Clark’s strength as a writer that his age has caught up to his material, but he was able to write these songs when he was so much younger. Wisdom, warmth, and humor all come through wonderfully. Clark is a generous host, letting his bandmates Verlon Thompson and Shawn Camp take the lead on two songs each. Overall, Songs and Stories is an album that leaves me feeling that I have spent just over an hour in some very good company. 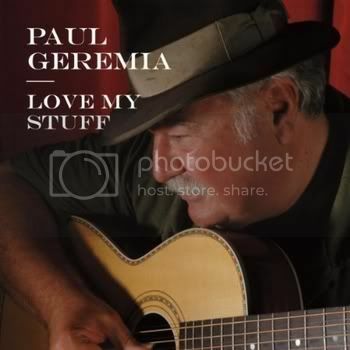 For Love My Stuff, Paul Geremia went through recordings of his live performances throughout his career, and compiled an album from them. This is a generous sampling of 18 songs, most of which have never been on an album before in either a live or a studio version. Geremia is an old style blues artist. Before World War II, most blues artists lived and worked in the American South. The music was acoustic. In blues, musicians do what is called bending notes, which is sliding a note sharp or flat for emotional effect. Those old blues players would bend time the same way, stretching or compressing a musical phrase. To modern ears, this can sound sloppy or like a mistake, but it is done on purpose, and it is a powerful technique once you know what you are listening to. Paul Geremia is the only modern blues artist I have heard who plays this way, and he does it very well indeed. Geremia applies this technique to folk blues and to jazzier numbers as well, and either way, it works beautifully. Sometimes, there are second chances. In 1999, The Persuasions went into the studio and recorded the tracks for their album Might as Well. This was a set of songs that the Grateful Dead had become known for, so it might have seemed to be an odd project for the legendary a capella group. But the Persuasions had previously done an album of Frank Zappa songs, and they were never afraid to add unusual songs to their repertoire. Normally, The Persuasions took pride in the rich sounds they made with just human voices, but Might as Well had guest musicians, including not only more voices but also instrumentalists too. Producer Rip Rense was never quite satisfied with the resulting album, but group leader Jerry Lawson left the group in 2003, and that seemed to be that. Fast forward all the way to this year. Somehow, Rense managed to reconvene the entire group, including Lawson, and create a new version of the album. It has a new name, given by Tom Waits: Persuasions of the Dead. The new name is warranted, because the album has been resequenced, with songs that never made it onto the original album. Some of the original instrumental parts have been toned down, but there are also entirely new instrumental parts, some by musicians who were not even part of the earlier sessions. The Persuasions and the other singers on the album have redone some of their parts, and the whole thing has been remastered. The results sound glorious. With all that goes on here, the album shines the spotlights in the two places they belong: the singing sounds full and rich, and the quality of the songs shines through. 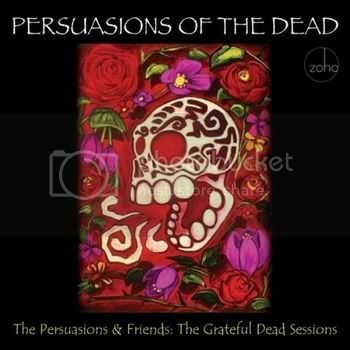 Sadly, I do not have permission to share songs from Persuasions of the Dead with you. The same thing happened when I reviewed the last Persuasions release, Live at McCabe‘s Guitar Shop. Happily, I do have to permission now to share some of that music, so here it is. You can buy Live at McCabe’s at the link below, but there is also a combo deal on the site for Persuasions of the Dead, if you would like to buy both albums together. What have we here? Midnight Oil Change opens with the most haunted accordion part you may ever hear, just two chords alternating, like the beating of the Tell-Tale Heart in its effect.. That is soon joined by an electric guitar. The third instrument you hear is a viola being plucked. For lack of a better term, and taking the album this comes from as a whole, this would be considered classical music. The composer and violist is Ljova. It isn’t too hard for me to imagine a more conventional orchestration for Midnight Oil Change, especially once the strings and brasses enter. But Ljova isn’t about conventional. 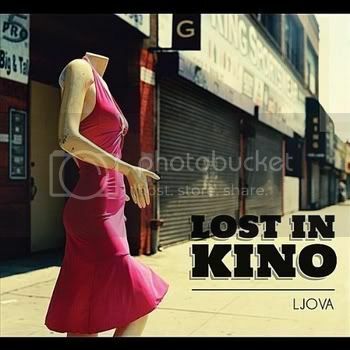 Lost in Kino is a collection of music Ljova wrote and recorded for films during the years 2006 to 2011. Most of these are what might be called “deep independent films”, the sort you would have to dig to find. They include short films, animation, and documentaries. I doubt that many of them had soundtrack albums. So Ljova wanted to preserve this music, but also focus on pieces that would work without their visual context. The songs in the first half of the album were recorded with the gypsy band Romashka, who I need to find out more about. Much of the second half is Ljova playing multiple parts on the viola and the famiola, (like a viola, only with six strings where the viola has only four). Throughout the album, Ljova draws on folk music, mostly from eastern Europe, but also from Apalachia for one track, and China for another. The result is a wonderful document of Ljova’s work for film, but also an album of music that really works beautifully as a whole, and out of context. There is much here for the more adventurous fans of folk music to enjoy, and Lost in Kino is also a fine continuation of a classical music tradition of composers including folk melodies and motifs in their work. 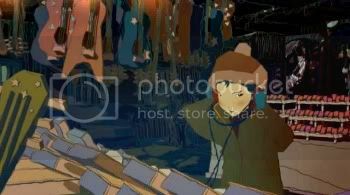 The image above comes from a music video by Brian Jin, called Memories of a Song. You can see the whole thing here. I am old enough to remember when MTV was new. It first went on the air in cities, and I didn’t see it until two years later, when my local cable system finally picked it up. I can’t remember the first video I saw, but I remember the excitement I felt. I was thrilled that artists and bands who would have been unknowns only a few years earlier were getting their music heard, and the best videos were also an amazing new form of artistic expression. Of course, things are different now. MTV hasn’t been music television in many years. The big budgets that major labels once gave artists for their videos are long gone, and they wouldn’t make business sense now. So, that means that the artistry of music videos is gone forever, right? Actually, no. Budgets are much tighter now, but creativity still thrives. In fact, it may be that tight budgets are forcing artists who want to make artistic videos to be more creative than ever. This is the first time I have ever shared music videos on Oliver di Place, and I probably won’t do it often. But these five examples of the art demanded to be shared. Each shows a different way of marrying sound and vision. The music is quite a mix of styles. But the visuals, or visualizations if you like, are the point this time out. Let’s take a look. I never thought I would be posting any videos here, and I don’t think this one had been released yet when I posted the song Tall Buildings before. But you can see why I had to repeat myself. Grist got some friends together, and built a miniature city out of recycled cardboard. The amount of detail is truly astounding, with cardboard people in at least some of the windows who can move by means of stop-motion animation. This city is such an astounding creation that it is being displayed this month at the Beaumont Gallery in Vancouver. My Reprieve from Jason Kessler on Vimeo. The video for dogbrain’s song My Reprieve is a short film, directed by Jason Kessler. I hadn’t heard of Kessler before, but he is apparently well known in the world of independent film. My Reprieve has the quality of an old Twilight Zone episode. This perfectly fits the song, about a man about to be executed, who is hoping for a last-minute phone bringing his pardon. The music has a woozy, disoriented feel, which is perfectly mirrored by the quick cuts in the film. The song comes from the album Nest, which includes a remarkable mix of musical moods, from classic R&B to songs that hint at Delta Blues. There are also a few more unclassifiable songs like this one. I will have more to say about this album in a future post. The video for Lovely shows a different approach to matching visuals to music. This one has images that are recognizable, people, flowers, and such, but there is no attempt to tell a story. 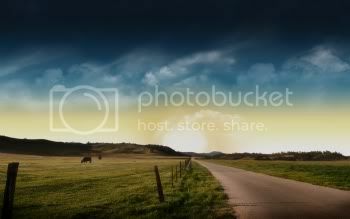 Instead, what you get is a perfect matching of visual and musical mood. Christine Leakey’s songs have a breezy feel and a Brazilian lilt. The gauzy and sometimes abstract look of the video works perfectly. Hey Banker, Hey Banker is a protest song. Where a well wrought political song will tell a story to make a point to someone who may not have seen it that way, protest songs are written to energize a crowd that shares your position. The video is a slide show. The pictures do not move, but their sequence is brilliant and powerful. Images from the Great Depression, in black and white, alternate with color images of the here and now. The result is an statement of greater eloquence than even words and music can achieve. The song is a worthy accompaniment. It will be found on Danaher and Cloud’s forthcoming album Late Bloomers, which I will also have more to say about in a future post. I love well done animation, and Love Teeth, while clearly not made on a big budget, is a fine example. The video is the work of Korean animator Sohee Jeon, who I hadn’t heard of before. But, based on this example, I want to know more. Love Teeth, both visually and in the story it tells, has a marvelous fairy tale quality to it. I won’t spoil the ending for you, but this one needs to be watched all the way through. Drew Smith’s album The Secret Languages is due out early next year. Love Teeth represents the quieter side of Smith’s music. Based on a few advance tracks and what I have heard of Smith’s previous album Fossils, this will be one to keep an eye out for. In Bread and Bones, the whole is greater than the sum of some very good parts. The group is a trio, with Beth Duquette on lead and harmony vocals only, Mitch Barron providing subtle support that is always right on a variety of basses, and Richard Ruane on lead instruments and lead and harmony vocals. Ruane wrote all of the original songs here, but when Duquette takes lead vocals, she inhabits her narrators so completely that it’s hard to believe that they were created by a man. I don’t think it was intentional, especially since the original songs were written over the course of nine years, but Could Have Been a Dream winds up being a set of songs about physical, emotional, and spiritual dislocation. I think the sequencing of the songs was probably intuitive, because Ruane is an intuitive songwriter, but the intuition was dead on, and the album winds up making an eloquent and powerful statement. What you hear on this album is Ruane’s playing, and Ruane and Duquette’s voices. Barron’s bass parts do not announce themselves, but they add texture and enhance the emotion of the songs. Ruane usually plays acoustic guitar, but sometimes he switches to mandolin, ukulele, or even banjo on one song. That song, Emily Sits By the Window, is the one time I heard instrumental overdubs, with Ruane playing banjo, guitar and mandolin. But mostly, the songs sound they way they would live. There are no lead parts on the instruments; every thing is in support of the vocals. The group does show their prowess instrumentally in the way they vary the textures from song to song. Ruane sings in a range that straddles the line between baritone and low tenor. He rumbles a bit on the low notes, but he knows how to use that to his advantage. He has a folk style, direct and full of feeling, without much ornamentation. Duquette sings in a bluesy alto, and I have the feeling she could really belt one out if it suited the material. But the two of them blend masterfully, with their different styles meeting in the middle, and always in service of the song. Ruane’s songs are about moments captured. There isn’t much storytelling here, although what happens in these moments sometimes tells a story of a kind. So the song Could Have Been a Dream presents a woman who remembers the mother who gave her up into fosterage when she was two or three years old. She has a collection of scattered impressions, filtered through the awareness of a young child, and her one clear memory is the refrain of a lullaby her mother sang to her. The song hints at why the mother had to give her up, but a child that age could never have understood all of the details, so the narrator of the song doesn’t either. It’s a great piece of writing that really hits home. You can tell, listening to Emily Sits By the Window, that this is an older woman; her memories come to her as she watches the sky outside, and then slip away again. We end up knowing some details of her life, but we can’t put her full story together, and we don’t need to. In the Air has a narrator who is probably a trapeze artist in a carnival. The song is about working at love without a net, and the metaphor works that much better because Ruane does not press the point. These are some of the songs of emotional dislocation. Physical dislocation is described best in North Along the River. Here we meet a group of fugitives who can not settle down, or even move about in daylight. The song does not say why they are fugitives; it simply and eloquently describes the rootlessness they feel. Will I Be Welcome and Breakwater are both about the idea of home. Welcome has a narrator wondering if he still has a home, while Breakwater tells of a man who knows he will always be able to find his home again. Who Do You Think It Was is a cover of a Charlie Sohmer tune, and finds a man in the midst of a test of his spiritual beliefs. The song has a gospel feel to it, with a great vocal blend. The album concludes with No Angels. This one says that we as human beings must rely upon ourselves and our intelligence, not on a higher power. It is a fitting conclusion to the journey this album has taken us on, and it feels in context like a message of hard-won hope. I have nothing against flashy playing, but Bread and Bones don’t feel that they have to prove anything like that on this album. 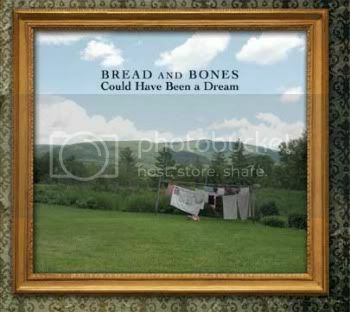 Could Have Been a Dream is a collection of finely written songs, with wonderful vocal performances, and solid instrumental backing to put the whole over with eloquence and grace.